Conjoined, obsessed, tethered, addicted, attached? What word best describes your relationship with your smartphone? Does your phone accompany you to the bathroom? Is it beside you on the table when you are eating? Is it recharging on your bedside locker whilst you ‘recharge’ with your head on the pillow? Research tells us that the average smartphone user checks their device every six and a half minutes. That’s about 150 times a day. It is so routine, we often don’t realise what we are doing. The evolution of smart phones, iPads and Blackberries mean email is no longer confined to the office. By having our phones constantly within reach, our work is constantly within reach. We are literally carrying our work around with us. ‘Multi-tasking,’ the once well-lauded phrase of time management workshops, has been replaced by ‘continuous partial attention.’ We find it increasingly difficult to focus on one task at a time. The term ‘single-tasking’ is now being used because research shows that we are more productive when we focus on a completing one task at a time. However, the impact technology has had on our productivity is secondary. What’s more concerning is how technology (the combination of digital devices and social media in particular) is changing our daily behavior. Walk down any busy street and you no longer have to side stepchildren, meandering tourists, or dogs on leads, now you have to sidestep people whose eyes are glued to a screen, rather than on where they are going. Has this become a metaphor for modern life? This summer, a social experiment Washington saw a footpath divided into two lanes, one for cell phone users and the other cellphone free! For many people constant connectivity provides an artificial sense of belonging, a poor substitute for true connection. Twitter followers, Facebook friends, LinkedIn connections are the KPIs for perceived popularity. We also experience heightened levels of anxiousness. For example, FOMO (Fear of Missing Out) is a new phenomenon that is fuelled by social media as we glimpse into the ‘glamorous and exciting’ lives of our online connections. Our perspective on how we experience life is also changing; we are no longer living it solely through our own eyes. We modify what we are doing because others are watching (our personalised 1984!) We adjust our behaviour to get positive comments from those who are observing us online. As a result we are often not fully present in our lives. Have you been more interested in photographing and posting the sunset on holiday, rather than simply marvelling at it? Recording the birthday celebration, rather than being immersed in it? Posting the dessert at your romantic meal, rather than looking into the eyes of the person across from you? We’ve all been guilty of this, not fully experiencing or relishing precious moments because we’re too busy recording and sharing them. There is little point in being the Taliban of digital devices wallowing in the nostalgia of the good old days. You cannot un-invent anything. The pros of social media outweigh the cons. As ever, when it comes to technology, we have to ensure we are the masters not the slaves. We achieve this by paying attention and setting our intention. What are your technology habits? When we bring what we usually do unconsciously into awareness, we can adjust our behaviour. We can also get clear about our intention when reaching for our smart phone. For what purpose am I checking emails at night? What am I trying to achieve when posting to Facebook, Instagram or Twitter? In other words, bring a healthy dose of mindfulness into our actions. 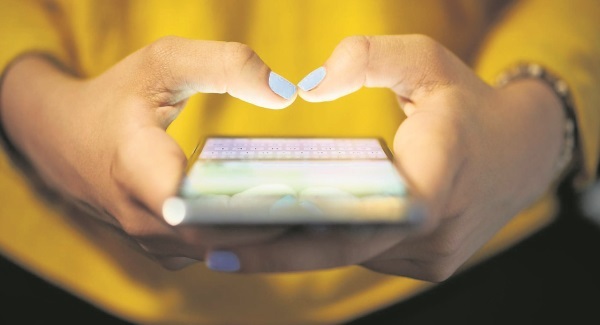 For many people, one of the luxuries of summer holidays is a digital detox - no TV, no news and vastly reduced, if not eliminated, social media. It is no coincidence that we feel freer, less stressed, relaxed and we think more clearly when we are untethered from our devices. Here’s a novel idea. Recently, there’s been a lot in the media about the 5:2 diet (eat what you want for five days, then two days a week, reduce your calorie intake to 25% of the recommended normal quota.) Perhaps a similar approach would work with a digital diet. But then isn’t that what the weekend is for? Ironically, there is now an app called Digital Detox which you can use to shut your phone down for a period of time ranging from 30 minutes to a few weeks (and you cannot override it!) So technology has found a way to stop us using technology. I think I prefer a simpler solution – power off and put it in a drawer.